Kapuso Primetime King Dingdong Dantes and Kapuso Drama King Dennis Trillo will be in Cagayan de Oro this Friday (November 30) for a Kapuso Mall Show courtesy of GMA Regional TV. The lead actors of the latest Kapuso primetime spectacle Cain at Abel will be joined by their co-stars, multi-talented Kapuso actress Solenn Heussaff and sought-after Kapuso leading lady Sanya Lopez, in Centrio Mall at 4 pm. Prior to their mall show, the Cain at Abel cast will be in Brgy. Luyong Bonbon, Opol for a Kapuso Barangayan. “We want our Kapuso viewers in Cagayan de Oro to have a great time this Friday, and no less than Cain at Abel’s lead actors will be there for a memorable Kapuso Mall Show,” says GMA Regional TV Vice President and Head Oliver Amoroso. “We know that it’s not every day that they get to see their favorite stars up close. So we are excited to bring to them Dingdong and Dennis—two of the country’s top actors. This is still our way of giving back to our loyal Kapuso in the regions who continue to support and inspire us throughout the years,” he adds. Cain at Abel, which premiered last November 19 on GMA Telebabad, is an action-family drama about two brothers, Daniel (Dingdong) and Miguel/Elias (Dennis) who grew up in two very different worlds. As children, they were separated by fate. Daniel was raised comfortably in the city by his father. Miguel, on the other hand, was taken by his mother who later changed his name to Elias. They relocated to a poor fishing village where they struggled to make ends meet. Years later, the two will be drawn together by their mutual affections: the father who brought them apart, the mother they yearn for, and the woman they both love. 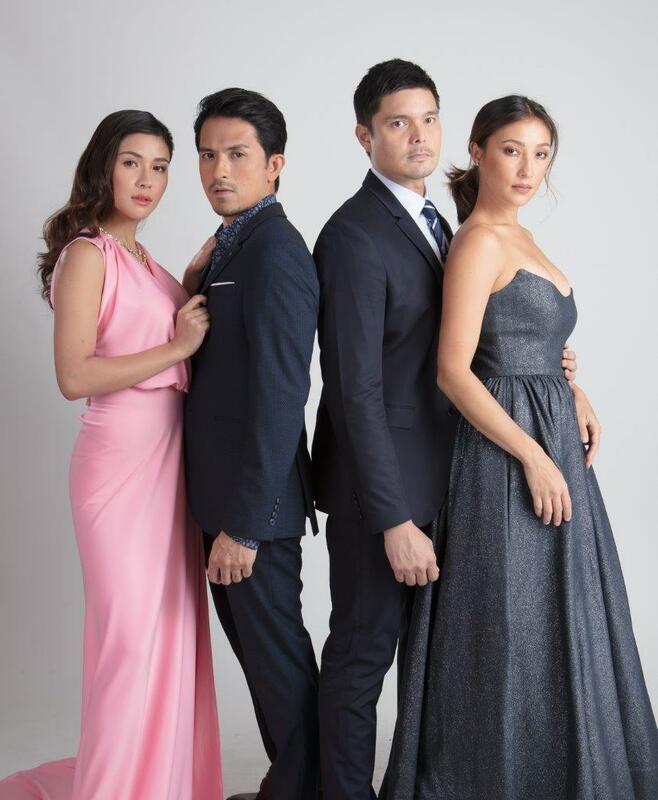 In the series, Solenn plays Abigail—the bold, sophisticated, and adventurous lover of Daniel; while Sanya is Margaret—the principled, responsible, and inspiring girlfriend of Miguel/Elias.